Some cool news for bus fans! 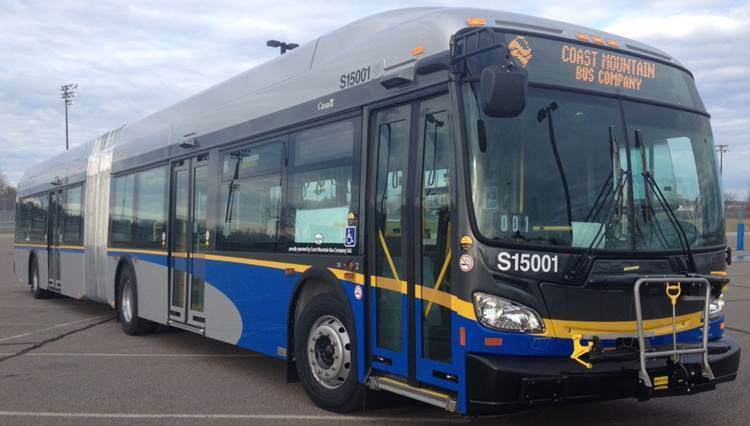 TransLink will soon have 21 New Flyer Xcelsior XDE60 articulated 60-foot buses in our fleet! Each bus will help TransLink be even greener because they are all diesel-electric hybrids! Twelve of the new buses will serve routes out of the Surrey Transit Centre (STC) replacing all of the existing articulated buses on the 96 B-Line. The rest of the buses will call Burnaby Transit Centre (BTC) home and will add to the modernization of the articulated bus fleet in Burnaby. This includes the 99 B-Line, the 135 and the 44, to name a few! The artics at STC will start to be in service at the end of January with all of them on the road by March. At BTC, the new buses will start being integrated onto the routes mid-February with full service in March. Are these buses the same as the Xcelsior artics that are currently running out of RTC? are these electric trolley buses? Yes they are the same as the ones out in Richmond. No they are not electric trolley bus. when are they going to be in service? Nice! On a side note, I really hope the trolley bus network expands at least along hilly corridors such as Boundary Rd and Willingdon Ave. Routes including the 130 between Kootenay Loop, Hastings, and Metrotown Stn should be fully electric and using fully electric trolley buses, the same ones used in Vancouver and on Route 19 Metrotown Stn and Stanley Park. Raymond, they should all be in service in March. Can’t wait to board one of these new XDE60s! Will PCTC be getting new or more articulated buses? The reason people become seasick on boats is mostly from sitting sideways. So many of the new buses have seats that are sideways and not facing forwards. I can’t sit in these seats because I get sick! So I don’t ride these buses. Will VTC be getting these new buses? Raymond: It clearly states that STC (Surrey) is getting 12, and the other 9 will go to BTC (Burnaby). Wow, I thought all of these buses would go to Burnaby and Surrey would get the old ones from there. Poco and Surrey usually get the rest of the lower mainland’s junk buses. So…when’s Poco going to get new artics? Is there a diagram anywhere of the seating layout? If you ride Richmond’s version of these buses, the seating layout is pretty much identical to the ones the STC and BTC are getting. I understand canada line is running single track service from 11pm until end of service tomorrow. so can i still go to oakridge centre? Hi Raymond, Single tracking just means that the trains will only use one platform. The trains are in service during this time but because only one side is used, extra travel time is needed.